Lewes FC Women today confirmed Kelly Newton as manager of the Foundation Squad for the 2018-19 season. Kelly, who made over 390 appearances for the club’s first XI and captained the side through a series of promotions and cup wins, takes over from Karl Davy. Since her retirement as a player last season, Kelly has worked closely with John Donohue’s coaching team and is clearly ready for her next big challenge in the sport. “I am very excited to take my first managerial role with the Lewes FS squad this season. The prospect of working with such a talented and enthusiastic group was too good an opportunity to turn down. I am thrilled that Greg Cross will continue in his role. His knowledge and experience will be crucial to the continued success of the team. I’m also excited to join forces with my former team-mate Charlotte Bennett, whose energy and positive attitude will be an example to all. 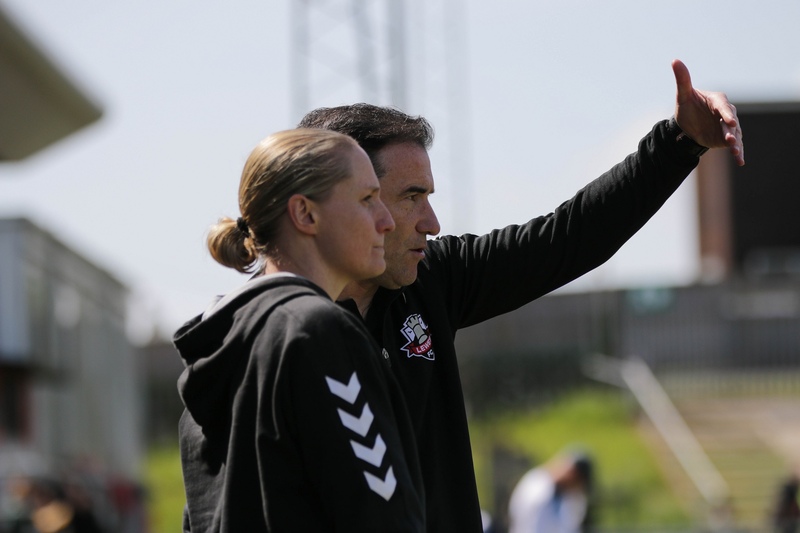 Lewes FC Women first team and Newman-Lewes Academy manager John Donoghue is pleased to see Kelly take this vital role.